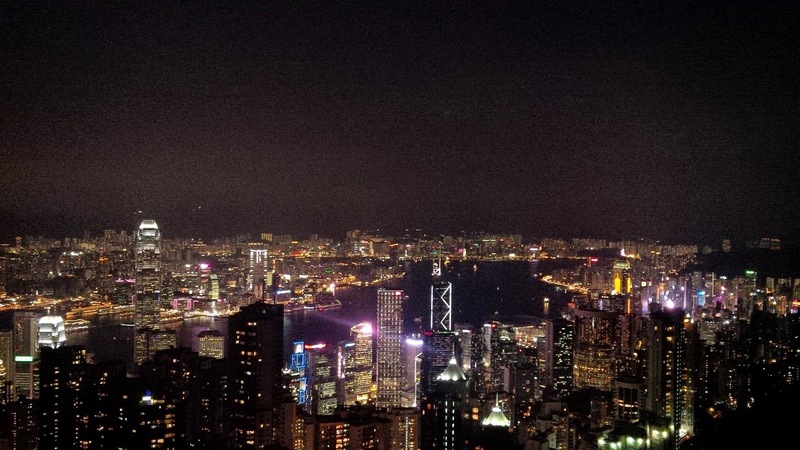 It is jolly good to be back in Hong Kong after nearly a decade and half. The city is home to some 7 million souls who live, work and sleep mostly in high-rise buildings given it is one of the world’s most densely populated places and space is at a premium. Having soaked in the dazzling lights, magnificent views from the Victoria Peak (see left) and the ubiquitous Star Ferry ride from Central pier on Hong Kong Island to Tsim Sha Tsui in Kowloon, the Oilholic decided to probe what’s afoot in terms of energy sector finance, and the market in general, in this part of the world. The timing couldn’t be better as the Hang Seng Index recently soared to a six-year high and that can only bode well for the 48 companies on there who account for 60% of market capitalisation of the Hong Kong Stock Exchange. While Alibaba.com might have opted to list in New York, rather than here, CGN Power Co, mainland China’s largest nuclear power producer by operational capacity, has decided to file for a US$2 billion initial public offering in Hong Kong. For regional energy companies, Asia’s self-styled capital of finance has always been a key destination for equity finance, even though real estate and services stocks understandably dominate the market. In CGN Power’s case, the move is part of its strategic goal to turn-on more nuclear reactors and turn-off coal-fired power plants. The listing will see it in the company of China Resources, CLP Holdings, Hong Kong and China Gas Company, Hong Kong Electric Holdings (Towngas), Kunlun Energy (formerly CNPC Hong Kong) and of course trader SS United Group Oil & Gas Company to name a few prominent players. Away from public listings, the search for liquidity and capital raising exercises bring many mainland, regional and (of late) Western energy firms to the doors of Hong Kong’s Private Equity (PE) players, a trend that’s now firmly entrenched here and continues to rise. According to a local contact, there are currently just under 400 major PE companies operating in Hong Kong. The Chinese special administrative region (SAR) and former British colony is Asia’s second largest PE centre, second only to mainland China. The energy sector (including oil & gas and cleantech), one is reliably informed, comes third in terms of PE finance after real estate and regional start-ups. A striking feature of PE funding flows originating in Hong Kong is the depth of international investment. The Oilholic noted oil & gas investments in Australia, India, Japan, South Korea and of course mainland China. Furthermore, synergy and happy co-existence with PE groups based in mainland China is seeing funding stretch to jurisdictions previously untouched by them with the sizing up of international assets well beyond Australasia with oilfield services companies and independent E&P companies being the unsurprising targets (or shall we say beneficiaries). For instance, Denise Lay, Chief Financial Officer of Tethys Petroleum, a London and Toronto-Listed oil and gas exploration firm, recently told yours truly in a Forbes interview about her company’s decision to sell 50% (plus one share) of its Kazakh assets to SinoHan, part of HanHong, a Beijing, China-based private equity fund. Some notable PE players on everyone’s radar for oil & gas investments include Affinity Equity Partners, Baring PE Asia and Silver Grace AM. The funding pool, according to three local analysts is set to expand. One even complained of there being too much investment capital around and not enough deals, which is causing assets to go for inflated prices. “But amid the synergy and seamless funding flows, there’s a bit of competition as well between SAR Hong Kong and China. For instance, the Hong Kong local administration is unashamedly pro-PE. Part of its overtures to attract more PE funds to be domiciled in Hong Kong includes amendment and extension of the current offshore fund exemption,” adds another. Away from PE, most state-owned Chinese oil & gas firms have approached Hong Kong’s capital markets although the extent of their presence varies. While it’s a view that is not universally shared, for the Oilholic, the SAR with a convertible Hong Kong dollar (unlike the Yuan RMB which isn’t) serves as a good base for regional expansion and overseas forays for these guys. On an unrelated note, one isn’t trying to establish any connect between gambling and the preferred currency, but the Hong Kong dollar is also the legal tender of choice in the casinos of nearby Macau. The Oilholic discovered it the hard way this afternoon, having paid a visit to the Wynn Casino and trying to insert a Macau pataca note into the slot machine only to be told to use Hong Kong dollars. As of last year, gambling revenue in the former Portuguese colony and another Chinese SAR of US$45.2 billion, seven times the total of the Las Vegas strip, has made it the world’s largest gambling destination. 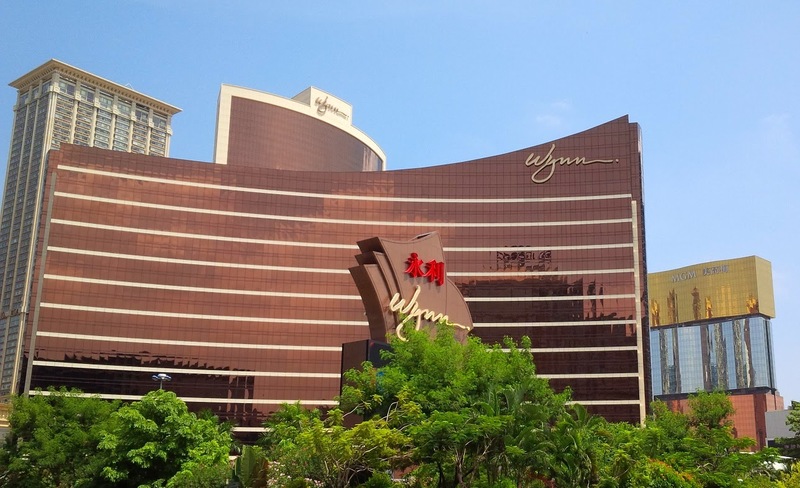 Since photography is not permitted inside casinos, even with the presentation of an international press ID as the Oilholic did, here’s the exterior of the Wynn Casino with rival MGM in the background. According to the World Bank, Macau’s GDP per capita came in at US$91,376 last year. That makes it the richest country globally after Luxembourg, Norway and Qatar. Mainland money flowing around Macau is pretty apparent, but not sure how much of it is filtering through to the masses. There have been repeated calls of late for a better wages by casino workers facing higher inflation. It is a soundtrack gamblers from many countries ought to be pretty familiar with - wages not keeping pace with inflation. That’s all from Hong Kong and Macau folks! It’s time to head off to Shanghai. Keep reading, keep it ‘crude’! © Gaurav Sharma 2014. Photo 1: Hong Kong evening sky as seen from the Victoria Peak, Central, Hong Kong. Photo 2: Wynn Casino & Resort with MGM in the background, Macau © Gaurav Sharma, September 2014.